Meet Dyro. Energetic young-gun, remix maestro, house music magician. To those in the know, he’s one of Holland’s future megastars, the crown prince of the global electronic music scene. For those still waiting to discover this phenomenal young artist, be quick before he wins a breakthrough trophy. Like a finely tuned Ferrari, Dyro’s career has accelerated with awe-inspiring speed. In 2011, aged just 19, he found that he had both the time and the focus to make the leap from music fan to music maker. A true perfectionist, he spent months honing his skills before finally gaining the confidence to put his work online. It wasn’t long before a series of lucky coincidences connected the tunes on his Soundcloud page with a true influencer and one of Dyro’s own personal heroes – Hardwell. In December 2011 Dyro released his first EP on Hardwell’s label, Revealed Recordings. The impact was instantaneous, and soon his tunes were in the bags of a veritable hit parade of international DJ superstars. Afrojack, David Guetta, Tiësto, Sander van Doorn, Dada Life, Laidback Luke and of course Hardwell himself all came out in support of this talented young producer. Crowds worldwide were quickly introduced to tunes like Daftastic, Metaphor and Magno. The crowds responded admirably, going absolutely ballistic whenever his productions appeared. The fires of success were stoked when he scored #4 in the 2012 DMC Miami Buzz Chart with his track Raid. Known throughout the industry as a barometer for hot new talent, the chart is a handpicked selection of the year’s finest new music. Dyro beat out stiff competition from over 700 other entries to bag his place. A hugely successful collaboration with Jacob van Hage, EMP, also added fuel to the flames. Alongside stellar productions of his own, Dyro was kept busy remixing the tunes of some seriously heavyweight names. Tunes by Hardwell & Dannic and R3hab have already been given the Dyro treatment, with the latter pronouncing him to be ‘one of (his) favourite producers of the moment.’ This year Dyro will drop some remixes for the likes of Afrojack & Shermanology but his talent has also been noticed by the bigger players in the industry. He received a remix request on his doormat for superstar Katy Perry’s new single Wide Awake, to give it a smooth Dyro touch. It’s obviously that this kid is a new future favorite of the music industry’s biggest label A&R's. This year will also bring a new release on Afrojack’s label WALL Recordings called Top Of The World, the track is in collaboration with Ansol and was premiered by Afrojack during his Ultra set. The track also got massive support from David Guetta, Hardwell, Fedde Le Grand, Nicky Romero and Swanky Tunes and is predicted to go straight to the top of the charts on Beatport. The media has been paying close attention to the shockwaves Dyro is sending out, with a swathe of EDM blogs marking him as one to watch for 2012. Stylistically he has already drawn comparisons to Alesso, yet it’s difficult to draw clear lines between Dyro and any other artist thanks to a wholly unique approach to his productions. At the tender age of 20, he already has a near-psychic ability to know what will make an audience explode. 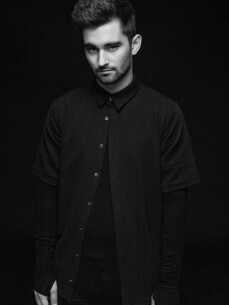 Merging huge progressive house with bone-crunching electro drops, Dyro conjures an orgasmic peak-time sound that demands an explosive reaction and will soon be known as the fierce ‘Dyro sound.’ Energy, he says, is the core element in each of his tracks. There are some killer remixes and collaborations in the works for Dyro in the coming months. With a rapidly growing profile specially in the US and legions of online fans already baying for new material, the road ahead looks clear indeed for this bright young star from Leiden.